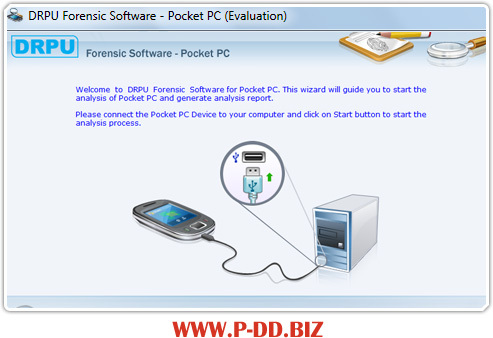 Data Doctor’s Pocket PC Forensic Software offer investigators the ability to enhance, extract and restore the detailed mobile phone information useful while handling any type of forensic research. Investigation tool provides the affordable way to perform the critical data analysis needed to solve cases including extraction of Operating System Registry files, Database files and analysis of other phone information like contact details, message details, IMSI number, Memory usage etc. Mobile forensics software supports the restoration of the generated information along with the facility of generating prints of the required information for future purpose. Extract hardware and software architecture details of all Windows based Pocket PC mobile phones. Analyse OS type and version, Processor architecture, Memory usage and other related information. Cost-effective and reliable solution useful for all Forensic Departments, Investigation Departments, Scientific Analysis, Government Offices etc. Fetch contact numbers, messages from both Sim card as well as Phone along with date, time and name. Support graphical user interface for easy functionality of the software. Technical assistance is not required to operate the software. Step-by-step easy-to-follow helping guide is provided with the software.